Improve the performance and quality of long uninterrupted reactive processes such as ion beam assist or ion beam deposition of highly controlled optical coatings, with the Veeco 12cm RF Ion Source. It features the industry's only filamentless RF Neutralizer, which provides low maintenance and enables long production runs. 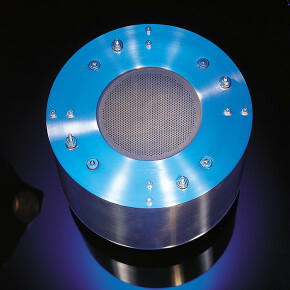 The 12cm RF Ion Source is ideal for processes using 100 percent argon, oxygen or other reactive gases.